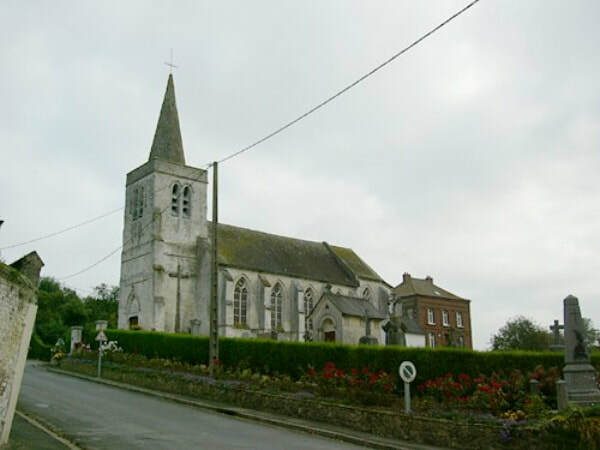 Bayenghem is a village and commune in the Department of the Pas-de-Calais some 14 kilometres south-west of St Omer on the main road N42, in the direction of Boulogne. 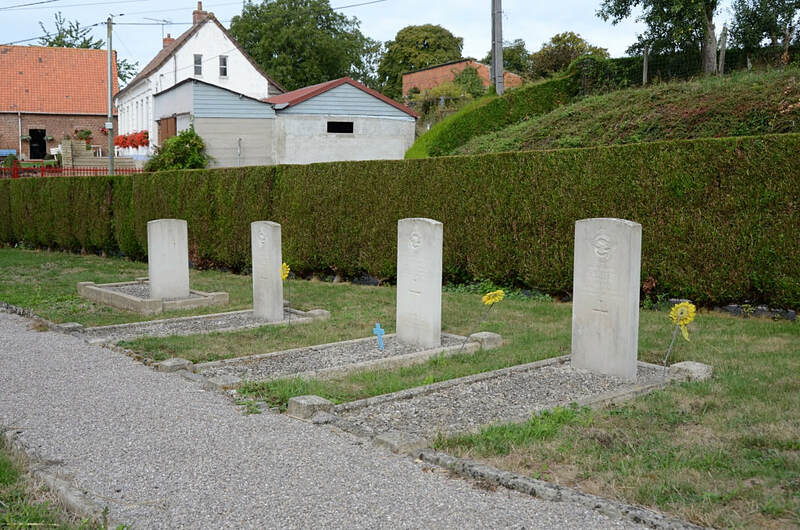 The Commonwealth graves will be found on the north side of the churchyard. 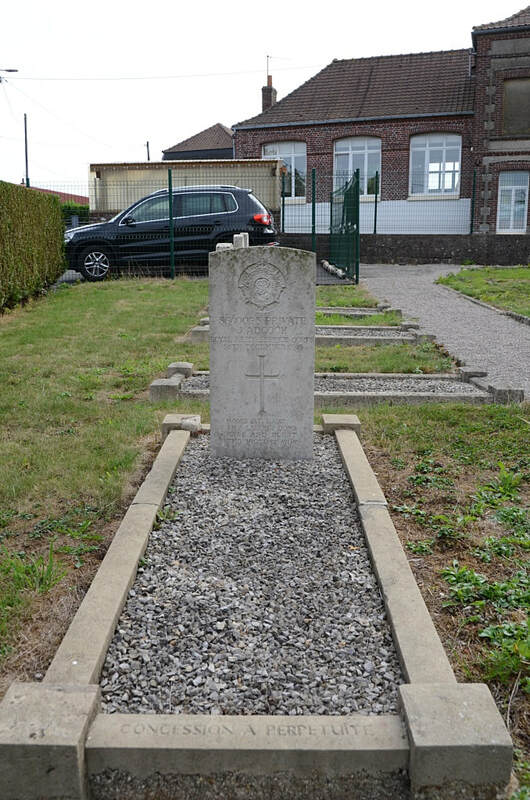 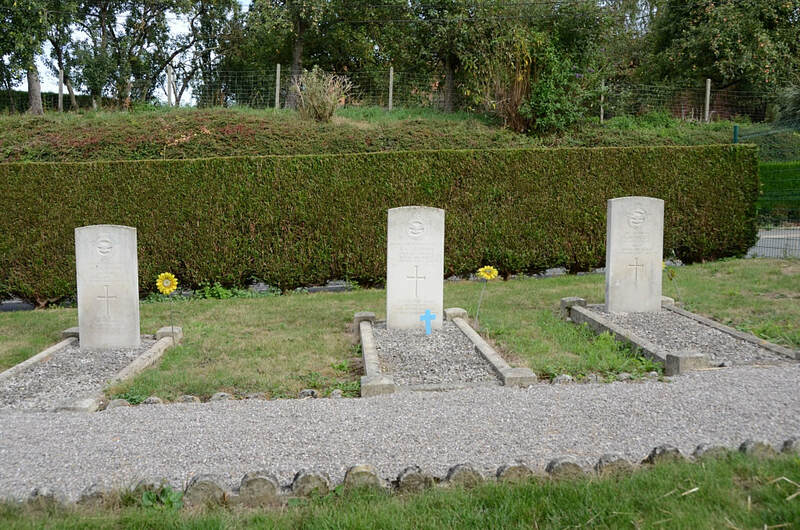 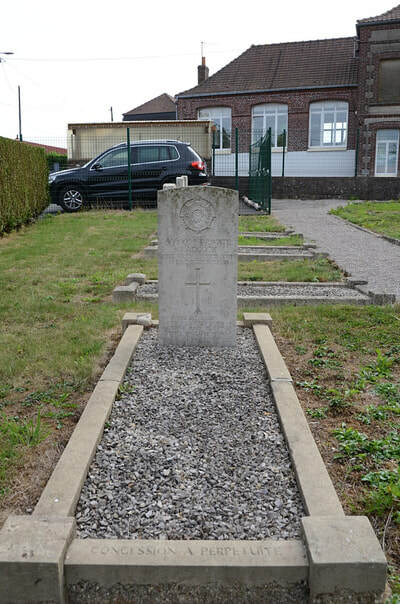 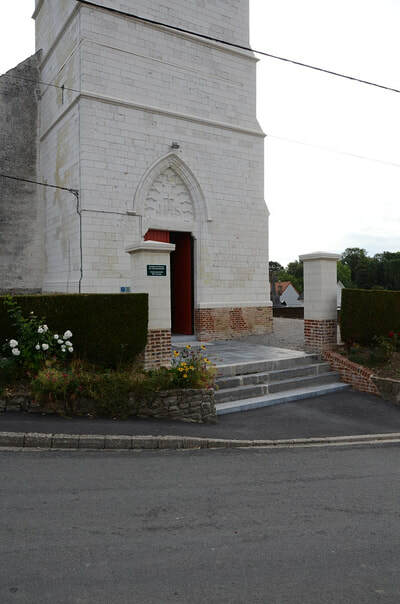 Bayenghem-les-Seninghem Churchyard contains one Commonwealth burial of the First World War and three from the Second World War. 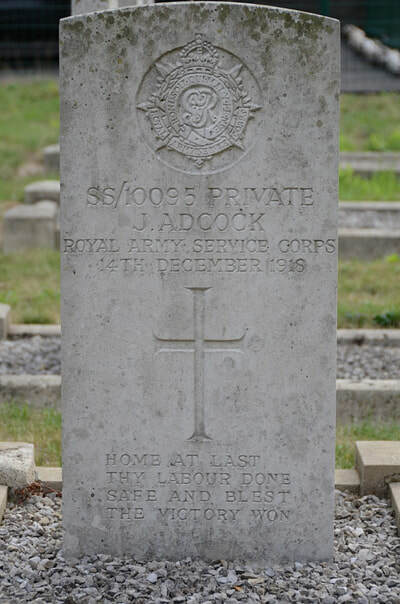 SS/10093 Private James Adcock, 3rd Labour Company, transferred to (297956) 231st Division, Employment Company, Royal Army Service Corps, died 14th December 1918, aged 43. Son of Francis and Elizabeth Adcock, of Great Yarmouth; husband of Elizabeth Adcock, of 87, George St., Great Yarmouth. 42330 Pilot Officer Gerald Montague Bailey, Pilot in 53 Squadron, Royal Air Force, died 26th May 1940, aged 24. 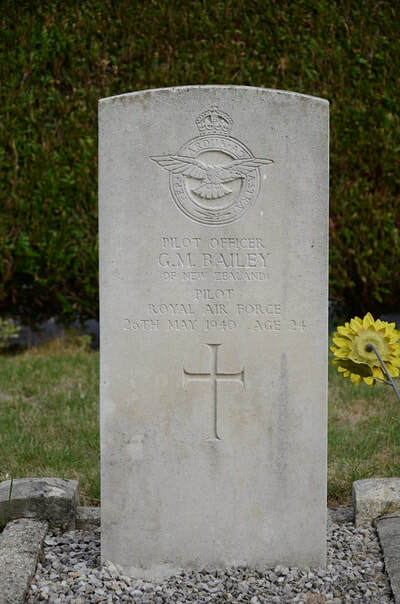 Son of Henry James Bailey and Nina Francis Bailey, of Feilding, Wellington, New Zealand. 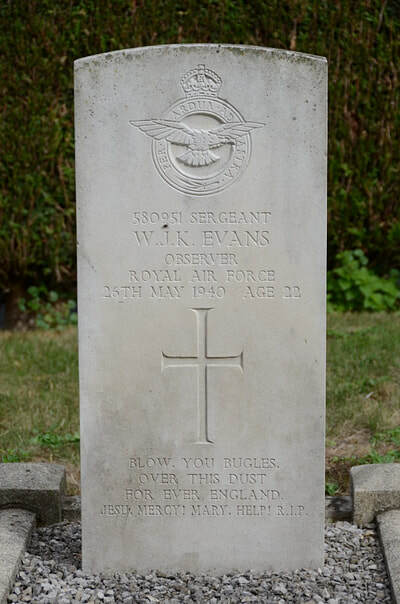 580951 Sergeant William John Kelsall Evans, Observer in 53 Squadron, Royal Air Force, died 26th May 1940, aged 22. Son of Harry Sidney George Evans, and of Lillian Ann Evans, of Romford, Essex. 552644 Aircraftman 1st Class Alan Arthur Gillmore, Wireless Operator in 53 Squadron, Royal Air force, died 26th May 1940, aged 19. 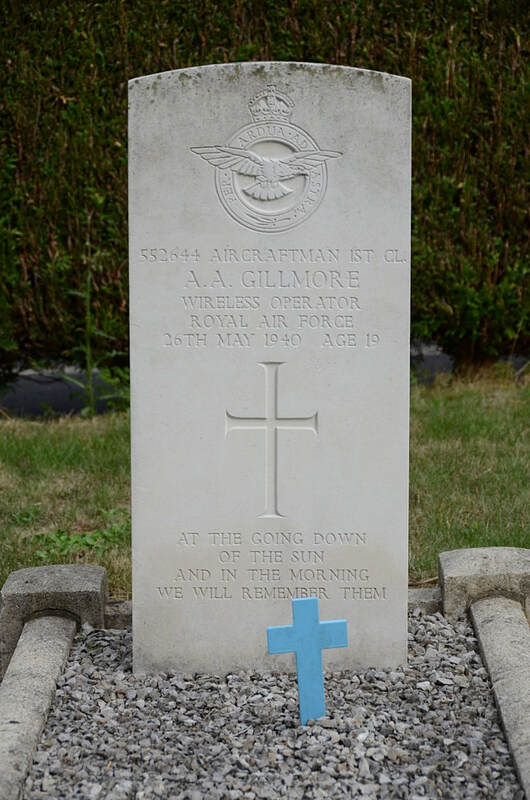 Son of Mr. and Mrs. Arthur Gillmore; stepson of Beatrice Eugenie Gillmore, of Anerley, Kent.